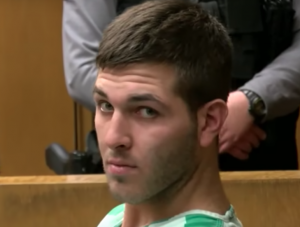 Anthony Comello, 24, of Staten Island man, has been arrested in the execution-style killing of Gambino crime family boss Frank Cali last week outside of his Staten Island home, the New York Daily News reports. Comello was arrested down the Jersey Shore. One motive may have been that Comello was angry that Cali was preventing him from seeing his niece. But NYPD Chief of Detectives Dermot Shea said he hadn’t ruled out that Comello was working with others. Police days earlier had said they were not ruling out the possibility that just-out-of-prison Gene Gotti, brother of the late John Gotti, was involved. Posted: 3/19/19 at 9:11 AM under News Story.